CSF just released another Industry 1st multi-fit model! 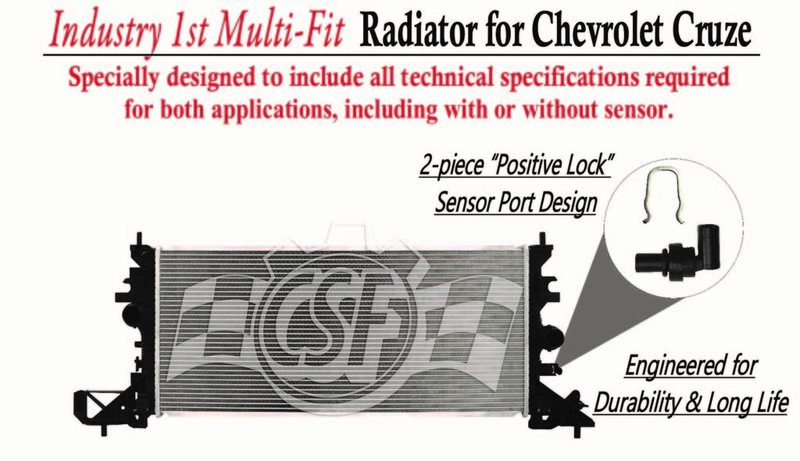 CSF 3865 is a very unique multi-fit Radiator for Chevrolet Cruze! This new model is specially designed to fit both the Sedan & Hatchback.